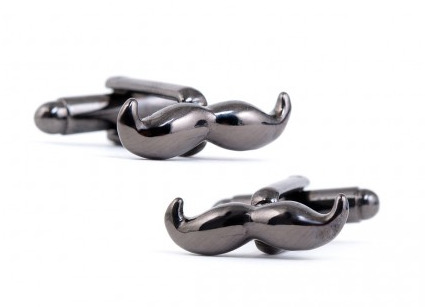 Sport your ‘stache elegantly on your sleeve instead of your upper lip with these handsome Moustache Cufflinks. This pair of cufflinks are gun-metal colored with bullet-shaped backings. Not only are these cool and quirky, but they help give awareness to the Movember movement (a month-long campaign involving growing moustaches in November to raise prostate cancer awareness).